We were given a child's table from my mother-in-law to use in Kirsten's bedroom. It was once her play table when she was young. After years of be stored in the barn, the chrome has seen better days and the top is a bit beat up. It's a great vintage child's table and will be great just polished and cleaned up in a playroom in the rec room in the future. For now though I'd like Kirsten to be able to use it in her bedroom, and it doesn't quite fit the aesthetics in her room. 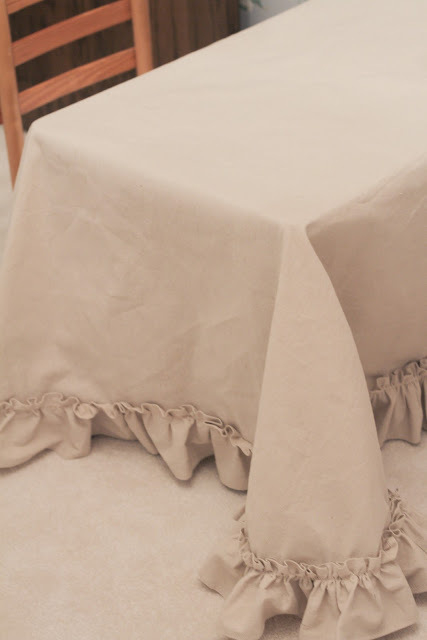 So, I sewed a tablecloth that just skims the floor all around with a ruffle at the bottom. Now I just have to make some little slipcovers for her chairs to match. My husband is going to cut a piece of plexiglass to fit on top so she can use the table for art projects without mommy fretting too much. I'll put together a simple tutorial/how-to of my process. I don't really know how to sew, so if I can do this, anyone can. The ruffle was the hardest part since it was so long. 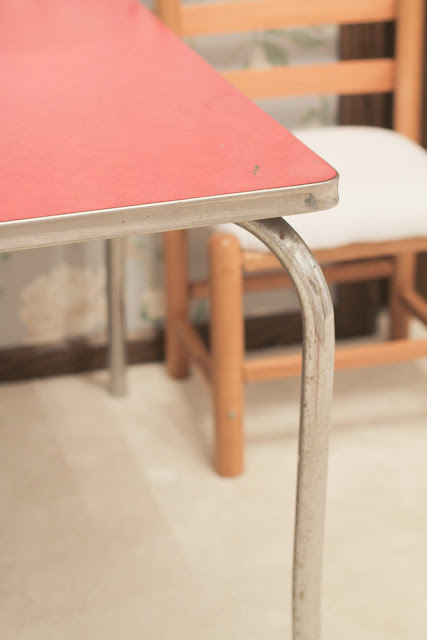 Here is the table before, a great little table, but it doesn't really fit in her room.